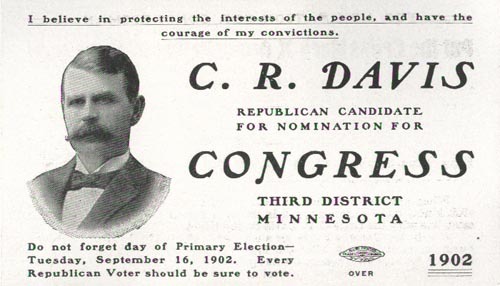 C. R. Davis, Republican Candidate for Nomination for Congress, Third District, Minnesota, 1902. 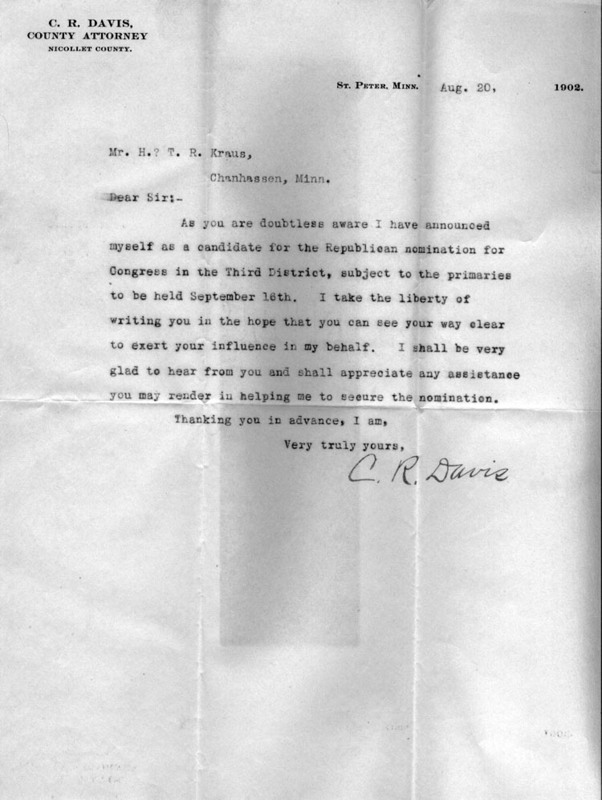 Letter from C. R. Davis to H. T. R. Kraus, Aug. 20, 1902. Are you looking for DAVIS ancestors? If so, we suggest posting a query to our Community Message Board to get assistance from other researchers.